However the reason I am interested in it is because it is probably the easiest way to set up and maintain a Bind9 DNS server. Run the commands below to install the webmin packages. 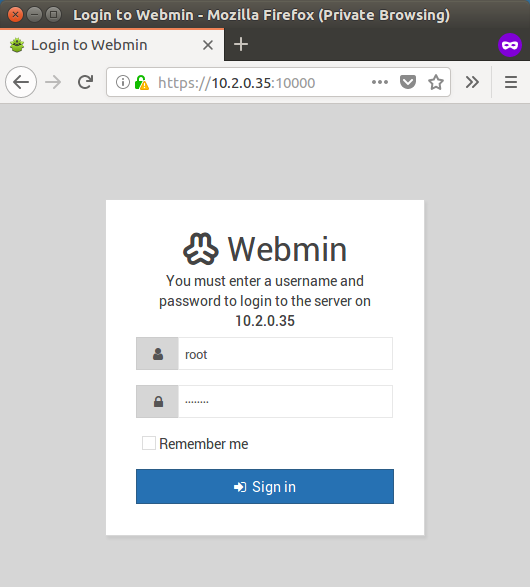 Now let's set the root account's password for webmin. Please change the PASSWORD variable in the script before using it. Now use your browser to navigate to your server's IP or hostname on port 10,000. E.g. 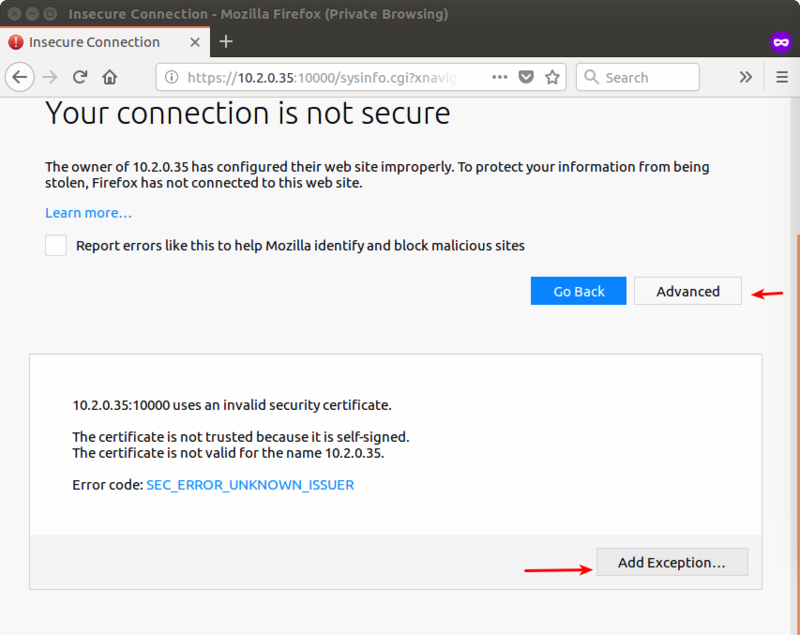 You will need to allow the SSL exception as we haven't provided certificates yet. Login with the user root and the password you specified earlier. You will now be able to see the webmin interface. 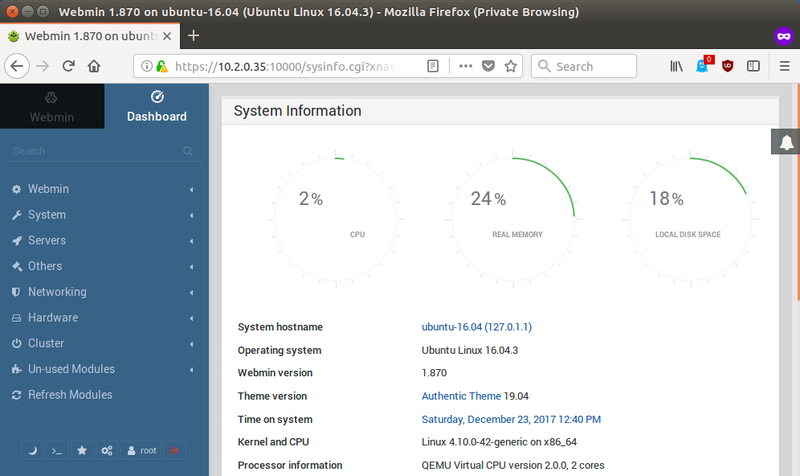 You have now installed webmin on Ubuntu 16.04. In future we will discuss how to add SSL certificates and set up a Bind9 DNS server.